The Voor Technocracy has been left reeling after its flagship Colossus-class planet cracker, the Quietus, was destroyed by a lone strike craft from the Keth Cooperative. It is thought the Keth victory may break a deadlock in the 53 year-long border war between the two neighbouring space-nations which has engulfed the mid-Rim. The tiny strike craft, Salmon One, was piloted by Keth native Luuk Skalvåker, who is now being hailed as a hero across the cluster. It appears however the attack on the Colossus was entirely opportunistic, as the Salmon One had accidentally got left behind its carrier ship when the Keth fleet retreated from a failed incursion of Voor space. While Skalvåker was piloting home through enemy territory, he stumbled across the idle Quietus in the Scheat System. The Colossus had only been constructed 1 year earlier by the Voor Technocracy at a huge cost. It had just completed a trial-run of planet cracking in Voor Space before it was to be set upon Keth core worlds. Skalvåker, automatically set to aggressive stance, engaged the much larger Colossus with no choice in the matter. For five long years he vigorously attacked the gargantuan ship before eventually causing its weapon system to fail and explode, killing all ten thousand crew on board. 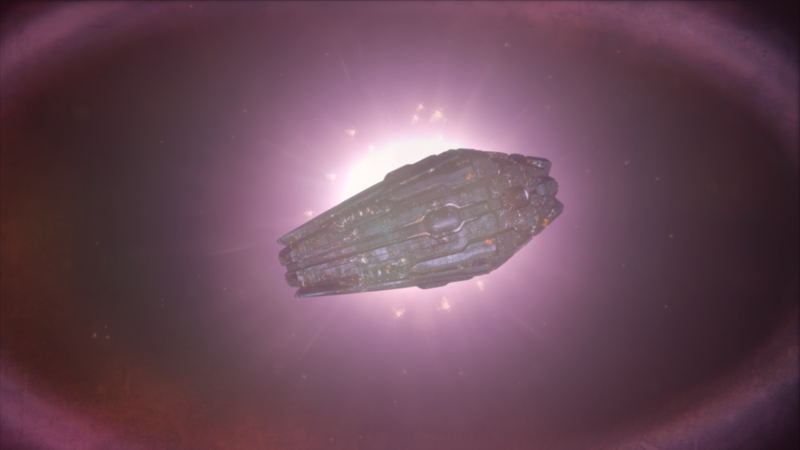 Voor leadership has come under heavy criticism for both the loss of its flagship weapon, and as to why the Quietus was left undefended for such a protracted period of time. "First of all I want to make it absolutely clear that the Strike Craft did not take out our most formidable weapon on its own- well technically it did since it was alone with the Colossus when she exploded, BUT much of the damage was caused by a large fleet battle six years prior to its destruction. So… there’s that. Now, a lot of you are questioning where the Voor Fleets where when the Quietus was being attacked. Well… when you've ruled a large empire like mine for as long as I have, eventually you stop paying attention to the little "hostile fleet detected" notifications. My TeleShroud pager would've been buzzing non-stop otherwise. I assume most governments officials do the same thing. It pains me to say I was simply not aware that our Colossus was under attack."